ULTRA is a music festival held annually in March in the United States city of Miami. Started in 1998 and ushering in its 15th year, the 2013 ULTRA was literally a MONSTER party, mobilizing upwards of 300,000 people over six days. Featuring an extraordinary number of DJs, the festival also attracts intense interest from some of the world’s finest, and their repeated willingness to adjust their schedules to perform there serves as a testament to the festival’s importance to the scene. So far, the festival has been held in the six countries of Spain, Brazil, Chile, Argentina, Croatia, and South Korea, with each luring a seemingly endless number of travelers willing to travel the world just to be a part of this incredible event. Tickets for the festival are widely considered to be hard-to-get, ultra-premium prizes, and last year in Miami, the event’s unparalleled popularity led to a sell out of all advance tickets in mere seconds. 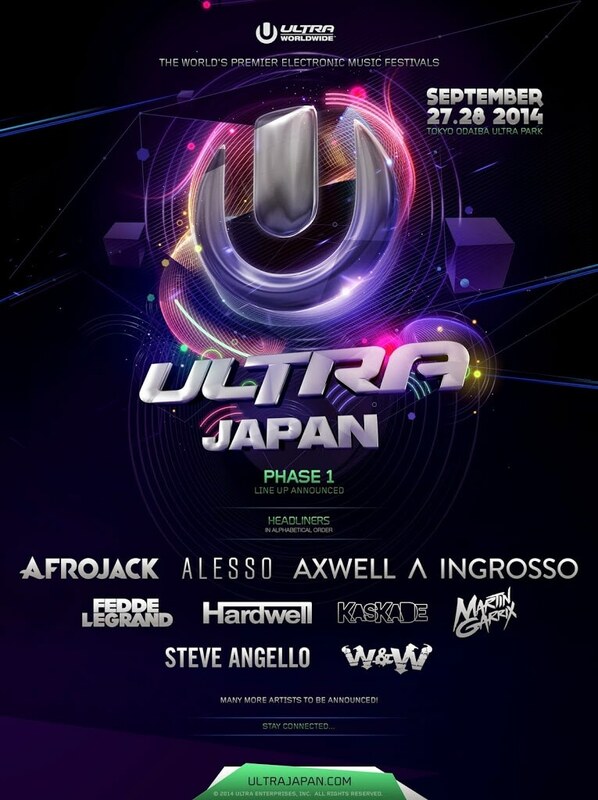 At long last, ULTRA is poised to finally make its presence felt on Japanese soil.